AVI-SPL has expanded its Control Room Group (CRG) capabilities into Europe with the creation of a UK-based team, headquartered in the AVI-SPL office in Farnborough, England. AVI-SPL Control Room Group's project at the North Carolina State University's Hunt Library. AVI-SPL has 12 years of experience designing, implementing and servicing complex mission critical solution centers around the world, leveraging a specialized team of over 50 experts primarily based in the U.S. With the opening of AVI-SPL’s UK operations in 2012, CRG is able to expand its capabilities into the region and adding industry-leading experts to the team. Since CRG’s inception, the team has completed more than 400 projects in 17 countries including a new Office of Emergency Management for one of the largest cities in the world. 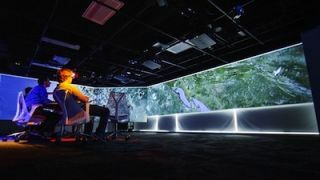 In addition to command and control centers, CRG specializes in implementing advanced virtualization solutions including virtual reality caves, 3D imaging and interactive video walls.